Does your dog have an upset stomach? Normally dogs will eat grass to clean out their system. This is the natural method to cure your dog’s sick tummy. However, this won’t always do the trick. In fact, your dog may not even feel like eating grass. 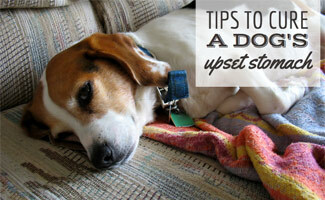 So, here are some additional tips to help cure your dog’s upset tummy. Should I Give My Dog A Probiotic? 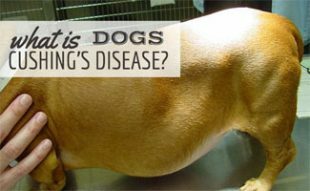 What’s Causing My Dog’s Upset Stomach? Here are a few things you can try at home before seeking medical attention. One of the most important things is to keep your pup hydrated at all times. This is especially important if they are experiencing diarrhea. With diarrhea, they may very quickly (within hours) become dehydrated, as they will lose water that they would retain under normal conditions. Don’t assume that you can prevent dehydration by offering water to your furry pet. Your pet also needs electrolytes and vitamins to retain fluids. One possible solution to this dilemma is to use Pedialyte. You can obtain a dry mixture made for animals by going to your nearest farming store. The packet is mixed with water and then fed to the dog. If your dog does not improve quickly though, do not continue to try self-treating. Dehydration in dogs can quickly progress from a passing concern to one of possible organ failure and even death. So, please if your dog’s symptoms last more than 24 hours, take him to the vet immediately for treatment. In this case, it can help to give your dog a little bit of Pepto-Bismol or Pepcid crushed and mixed with water (the amount will depend on your dog’s weight — consult your veterinarian). It is possible that the manufacturers of these products may change their formulas over time and they may not be as safe as they once were for pups. As with any treatment, always consult a vet before proceeding with treatment. Note that the Pepto-Bismol or Pepcid may make your dog’s stool darken quite a bit — this is not a reason for alarm. We recommend using a rectal thermometer as it is the most accurate option. An ear thermometer is also an option but not as precise. A dog’s normal body temperature should be about 101.5°F. A temperature of 102°F or higher is considered to be a fever. If the temperature is higher than 102°F or lower than 99°F, you should go to the vet or emergency vet hospital immediately to find out the cause. Looking for clues may help the vet’s diagnosis of your situation. If any of your houseplants have been nibbled on that’s a sure red flag as many houseplants are toxic to dogs. Also, check the trash bags and cans around your home for signs of scavengers. Be sure to reference our list of foods not to feed dogs for more possible toxic foods to consider. Here are a few products you can try out that have proven to be successful for other sick pups. Rice is a natural remedy for symptoms of diarrhea for humans, but pups can’t digest it as well, and therefore it could further upset their stomach. However, DiarRice is a rice-based probiotic that has all the same soothing properties of rice in a format that is easily digestible and tastes like chicken. You can mix with either wet food or dry food (adding a little water). DiarRice should start doing the trick immediately, so if you don’t see signs of improvement right away you should seek further medical attention. If your dog still isn’t feeling well and you wish to feed it Pedialyte or some other mixture that will help prevent dehydration, you’re going to need a syringe (without a needle) and a towel. Your dog isn’t going to want to be fed anything, just as you don’t want to eat when you don’t feel good. Because of this, you may need some assistance when feeding your dog. After filling the syringe with the mixture, lay the dog on its side. Open the mouth of the dog and use the syringe to inject the fluid down the dog’s throat. If the dog still doesn’t want to swallow the mixture, massage the throat to prompt the swallowing response. Another method is to inject the mixture inside the back of the cheek of the dog. Again, massage the throat as needed for swallowing. If you choose to use the cheek method, watch to make sure the liquid does not come out the other side of the mouth. Sometimes dogs will let the liquid drain out if they don’t have the energy or urge to swallow. If your dog suffers from chronic digestive problems, a dog probiotic could help. Probiotics for dogs work the same way as they do for humans. They’re formulas that contain living gut-friendly bacteria found naturally in the digestive tract and other areas of the body. The goal of ingesting probiotics is to maintain healthy levels of good bacteria, prevent gastrointestinal problems and boost the immune system after it’s been disrupted by illness, infection, antibiotic treatment or other stressors. There are a ton of pet probiotic products available, so be sure to read our article that highlights the best probiotics for dogs and includes more information on how these products can help solve your pup’s digestive problems. 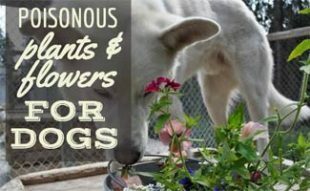 If you prefer not to give your dog human medications, some natural home treatments can do the trick. 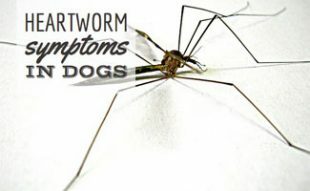 However, these may not be the best cure for your dog, so make sure you check with your veterinarian before proceeding. Rice with boiled chicken (boneless and no salt or seasonings added) – Exact portion can vary by dog. We suggest starting with a half cup of cooked rice and about 4 ounces of chicken. If your dog isn’t drinking water, add some water to the mixture as well. Do not use hamburger meat – this is a fairly common recommendation on bulletin boards, but the fact is the meat is too greasy and will not help your dog’s upset stomach (nor is it healthy for your dog). What Causes Dogs To Get An Upset Stomach? You might be curious to know what caused the upset stomach to begin with? Here are some possible causes and why. Although dogs will eat most anything you put in front of them, their stomachs don’t always agree with this free-for-all type of consumption. One of the most likely causes for an upset stomach is a change in diet. You can’t assume that they have eaten something unhealthy either. Sometimes they get an upset stomach from something as simple as a change in brand or flavor of dog food. If these causes seem unlikely, you might start searching for another reason, such as illness. So make sure you still have some of your dog’s current food to allow time for the transition. Over the course of about a week, slowly start mixing in more and more of the new food into less and less of the current food until the transition is complete. Read our article on changing dog food for more specific details. Go slow and keep an eye on your dog while changing food to make sure they remain healthy. And make sure your dog doesn’t eat too fast as that can also cause result in an upset tummy. Consult your vet if you have any questions during this process of changing dog food or run into any health concerns. Dogs (and especially young pups) are very susceptible to occurrences of dehydration, just like humans are. If you notice that your dog has diarrhea or doesn’t seem to have an appetite or be interested in drinking his or her water, then your dog is taking the first step towards dehydration. You can check to see if your dog is already dehydrated by assessing the appearance of his or her skin and gums. If you lift your dog’s lip, the gums should be coated with a shiny wet film. If not, then he or she may be dehydrated. 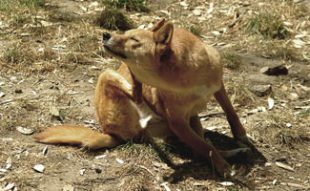 To check the skin to see if your dog is dehydrated, squeeze the skin behind the neck as if you were going to pick your dog up as his or her mother would. Release the skin. If the skin stays in the pinched position, your dog is dehydrated. If it automatically goes back to lying flat on the neck, your dog is not dehydrated. This is the same method used to check humans. If you’ve ever had someone pinch the skin on your hand and then watch to see if it goes back to its original form, you have experienced the same kind of dehydration test. Aside from the fact that our dog is likely to be uncomfortable and even in pain, the upset stomach may be a symptom of an underlying issue. Your dog may have something as mild as the flu or as life-threatening as the parvovirus. If your dog has a bacterial infection or a virus, they are likely to show other signs along with the upset stomach. Should the condition persist, the most dangerous threat is likely to be dehydration. This occurs when the body is unable to retain fluids. Water makes up around 75% of the body weight of dogs, but even consuming large amounts of water may not be enough to prevent dehydration in your dog. If your dog is very ill and you cannot figure out how to help it, please call the vet. No website can match the help that a trained veterinarian and an actual in-person physical exam to determine the best plan of treatment and help guide you through this difficult time. And if you don’t already have pet insurance, consider getting it as it can help save you money at the vet (in addition to saving your dog’s life). Check out our comparison of the top 3 providers for more. Watch this video to learn the benefits of getting pet insurance and how it can help your dog and their upset tummy (plus your pocketbook) in the future. As dog owners ourselves, we know how challenging it can be to see your pup suffer. We hope your dog is feeling better soon. Any other sick tummy treatments that you’ve found successful? My dog is 9 years old a chihuahua, took her to the vet cause he’s not eating for days and was told she has abdominal pain and dehydration, I heartbreakingly can not afford all the x rays and blood draws they wanted to do so they injected some fluids and gave me amoxi drops to give to him it’s been 3 days he’s still not looking good he can barley pick himself up he drinks on his own we’re giving him Pedialyte but he’s still lays down on his right side all the time and I just don’t know what to do to help him I desperately am trying to gather money to help him but is there anything I can do here at home to help him ? Please. Ana when my dog was sick like that the vet sent us home with an IV bag, but it was subcutaneous not actually in the vein. It was immensely helpful. Also we gave her pepcid and some type of anti-emetic. We didn’t do the tests due to cost but with that and feeding bananas, watered down smooshed up rice mixed with water (like a gruel (?) ) she recovered perfectly in about a week. My 10 year old dog has been having very bad gas and diarrhea for the past three months. She has been to the vet several times. The vet changed her food twice. The first time to Natural Balance for Sensitive Skin and Stomach. Now she is on Royal Canin Satiety dog food which is a prescription. I purchased a bowl which is like a maze to slow down her eating. She is taking Budosinide as well as Proviable probiotic. She cannot get comfortable. Tonight she also threw up all her food. The vet did blood work on her and it came out fine. I am wondering should she have an xray of her stomach? I am desperate to find an answer. My 8 month old pit boxer has been throwing up, barley eating, barely going to the bathroom. He drinks water but just throws it up in like an hour. my chihuahua is 15, for the last 6 month has been drinking tons of water.. has become very fussy on eating, and I’m sure has doggy dementia. we give him metacam occasionally for pain in his back. we have resorted to giving him people food, We gave him grass fed, organic hamburger the other day because he just doesn’t want dog food anymore. The last 3 days his stool has been tarry and lose. today when I helped wipe his bottom I noticed it was dark reddish blood color. Because of his age and his dog dementia we don’t want him to have to go through all the testing I’m reading about to diagnose whats wrong.. any suggestions? We are both seniors and have a limited income and a thousand dollars in diagnostic is not feasible. I’m sure you have asked around but depending on your area there maybe some pet organizations that help offset veterinariannd lets me carry a large balance. costs. Some vets will even let you accrue a bill and let you make small payments over time. Good luck. My vet loves animals and let’s me carry a latge balance. Try a local vet and not a vet conglomerate like VCA owned place. I think my Shih Tzu ate a small amount of foil. This was from a candy wrapper. I took most of it out of her mouth but I do believe she swallowed a small amount. I am concerned because now she has an upset tummy. She threw up once and now has loose stool and seems lethargic not wanting to play or do much, just lying down mostly. I have been feeding her a bland diet of boiled rice and chicken. She eats it all up and hasn’t thrown up anymore. This started Sunday night and it is now Tuesday. Would a small amount of foil cause her an upset tummy? 3 month old chihuahua puppy was fine last night. Completely normal. My happy healthy baby boy. This morning he seemed fine, I fed him but didn’t want to eat or drink water. He took a nap and hour later we woke up crying and vomiting. He threw up what look like stomach acid. I also noticed that his stomach hurts when applied pressure. He won’t eat or drink. All he wants to do is sleep. I’m worried. What can I do? What could it be? I’m not a licensed vet but the fact that applying pressure to his stomach is causing pain raises concern in my mind. How is he doing today? Did you take him to the vet? Sorry we didn’t get back to you sooner but we don’t moderate comments on weekends. And remember, whenever you think something is seriously wrong with your dog, your vet should be the first point of contact. Hope he is doing well! I have a 8 month old lab-hound mix she is about 80 lbs. We have only had her for about 2 month’s now when we adopted her from the shelter we bought the food they told us they had been feeding her even though she did not seem to enjoy eating it. The shelter food would just sit in her bowl for a couple of days before she would finally eat some so after a week of watching her do this we decided to go to the local pet supply store they recommend blue buffalo large bread puppy food. So now 3 or more week’s later she is still not feeling well she has gas coming from both end’s she has diarrhea that is multiple time’s a day her belly look’s bloated and she is not as active as she was I’m about to try the rice and chicken to see if that help’s at all. Other then that I feel like a bad dog mom for not mixing the food slow I just threw out the stuff she did not like and started 1 cup of the new food 2 time’s a day and she love’s it but I can’t keep her on it if it’s going to keep her sick like this. I suggest calling your vet and asking what you should do to help your dog. Since it’s been 3 weeks or more, I’m unsure how to advise you and your vet will be able to help you better. I give my dog rice baby food mixed with bananas baby food, also I give him saltine crackers, also pumpkin is really good too. My 2 year old Chug has been producing a strange cough for a few days. I was told by the vet 2 days ago that she has a reverse sneeze and allergies. I am concerned she still has the strange cough and she has problems swallowing. She drinks water but every time she eats she coughs and chokes. She is eating very little and shakes when she starts to cough. She is also hiding under chairs and tables? Try going to another vet. Google reviews of her food and who ownes the company. If it’s mars, nestle, Del Monte purina or smuckers find a higher quality food. Take her temp daily. Maybe she has the flu. I give my Shih Tzu 1/4 tab of its be flavored CHILDREN’S STOMACH TABS, if he has a gassy tummy. It seems to help her. I went to a specialty internal vet.. He found IBD. My dog kept throwing up bile, and had diarrhea among other symptoms. I imagine your pup has had worming meds, etc???? Try another vet, I hope it helps. I have a 3 year old female Border Collie mix. Ever since she was a puppy, she has randomly thrown up her food. Sometimes she will go a few months without throwing up (no more than 3 months), sometimes she will throw up after each meal multiple days in a row, but on average she throws up once a week. It’s always after eating a meal or a treat like a dental bone, and she never shows any signs of discomfort or feeling sick otherwise. Sometimes it’s immediately after eating and it’s just undigested food, and sometimes its a little while after eating and it’s more like vomit. From about 3 months old to 10 months old, I fed her Blue Buffalo Life Protection puppy food, then I switched her to Nutro Ultra puppy food until she was about 14 months old, and then Nutro Ultra adult until 2ish years old, and now for the last 8 months or so I’ve been feeding her Hills Science Diet Sensitive Stomach. I certainly believe she has a sensitive stomach, but can that be it? I try to avoid poor quality bones or treats as she almost always tosses those up, but she will still occasionally throw up “high quality/natural/organic” dental bones or treats. I have taken her to the vet, I have switched up her food, I have tried raised bowls. What else can I try? What might this issue be? Claire I rescued a toy poodle mixed with about eight months old and was the same way until I decided to give him home made food, has been almost 3 years and he has been very healthy since then, for holidays I have to be extremely careful and ask everyone not to give him anything because if he gets any of our food he will get very sick, for a couple days will not eat none of his food and will vomit, if it happens, I will make a cream like with boiling water and rice flour and feed him with a little spoon, that will make him better, I make his food, cook beef chicken, broccoli, sweet potatos, carrots, green beans, butternut squash or any other, rice, I cut all in tiny bites and boil all separate because he doesn’t like mushy, mix everything and freeze in small containers, he has been healthy since then. Same issue with my six year old yellow lab. After extensive and EXPENSIVE testing we discovered she has delayed gastric emptying. She is on Prilosec and Reglan twice a day and has been for the past six months. She is also on Science Diet Sensitive Stomach and Skin formula. Greatly improved! Still vomits occasionally but usually if she eats too fast or steals food from our other dog’s bowl. Hi I am minding a Westie, she had dire a yesterday none to day. But has a gurgling tummy. Wants to eat grass. What can I do for her. She’s 12 yrs old healthy. I purchased pet insurance. There were so many “pre-existing conditions,” I ended up losing money. Pet insurance was no help at all. My 5 year old chihuahua has been sleeping a lot and doesn’t want to eat for the past three days,he looks very uncomfortable but is going potty just fine,could he have an upset stomach? Hi Karen, has your chihuahua gotten back to his normal self? If not, I suggest calling your vet. I hope he gets better soon! Let us know what you find out! Have you called your vet? You need to get your Yorkie to the vet! Small Yorkies can go down really fast with diarrhea and not eating… You need to worry about, hydration and low blood sugar. I have a 5 month old great Dane/lab mix and today she chewed up a diaper and now will not eat or drink. I’m giving her fluids thru syringe and gave her Pepto and also pumpkin but she still won’t eat or drink willingly. Any ideas of whether or not the diaper done this to her? I would assume the diaper is causing her issues unless there is something else she ingested that is out of the ordinary. However, I am not a licensed veterinarian. I suggest calling your vet and making sure there isn’t something more serious going on. Hope she gets back to her normal self soon!! Hi Rhonda, it sounds like something could be wrong with your dog. I’m having difficulties wording this, so I apologize if it comes across as too blunt or “not my place.” It’s clear that you care a great deal about your dog. You most likely spent hundreds or even thousands of dollars on surgery for your dog, so she could be with you longer and be pain free. Unfortunately, it sounds like there is still an issue with her health and she is living in discomfort. You and your dog have not been able to reap the rewards of her surgery because she is now dealing with this other issue. I can’t say exactly what this issue is, but it sounds like it was brought on as a result of the surgery. I completely understand that finances are a struggle and I’m so sorry that they are a factor here. However, I think if you called your vet and spoke to him/her about your dog they’d find it necessary to schedule an appointment. I suggest being upfront with your vet ahead of time about your financial situation, so everything is out in the open and they do not become upset when they find out you cannot pay for the service. It’s possible that the issue has a simple fix. We hope Motley gets the care she needs and starts feeling more like herself. We will keep you both in our thoughts.